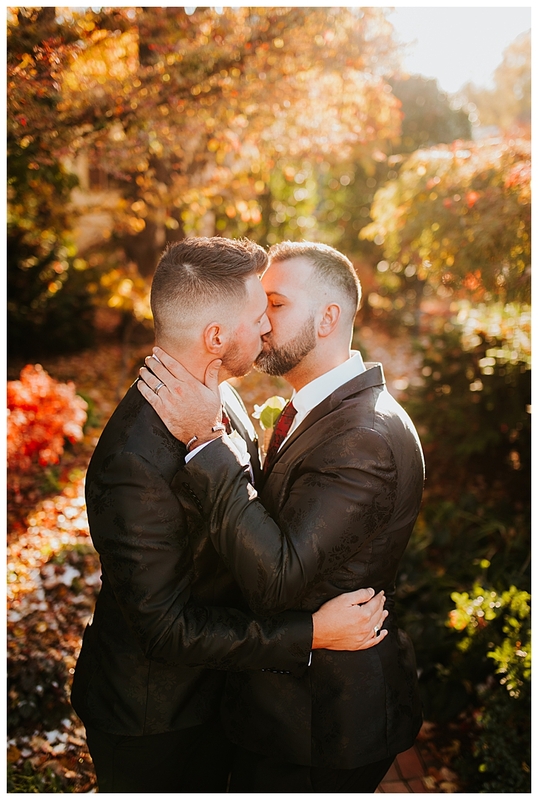 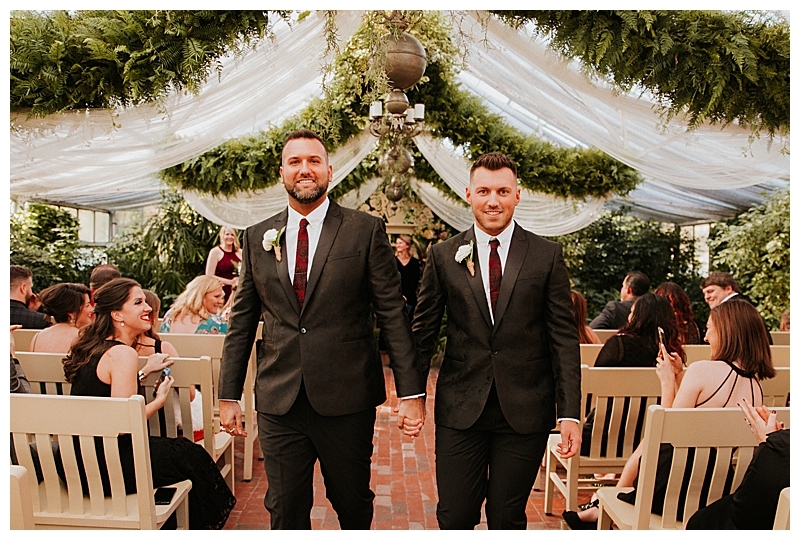 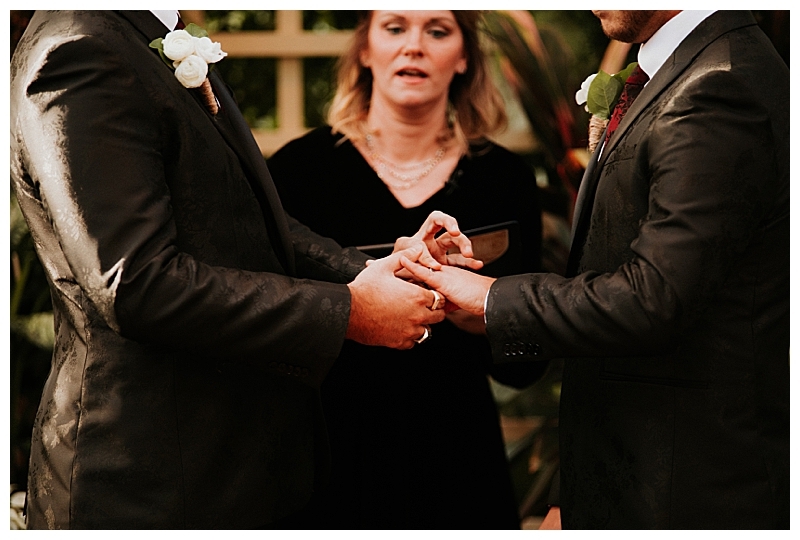 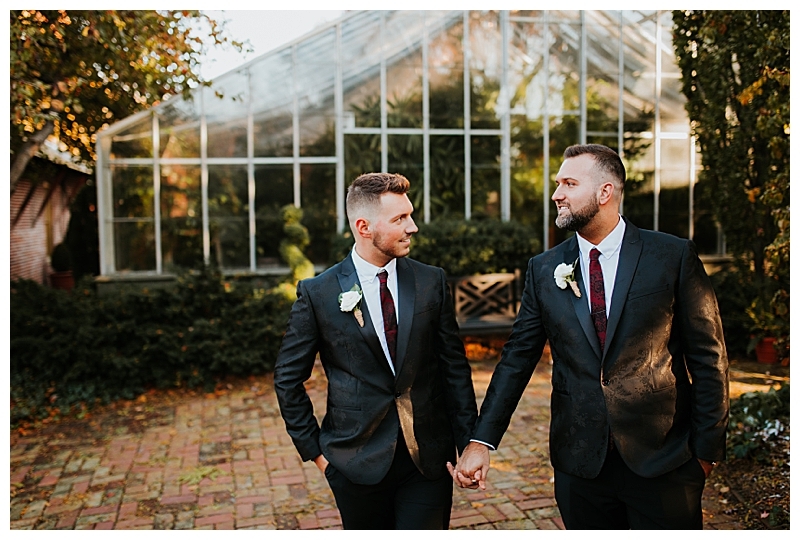 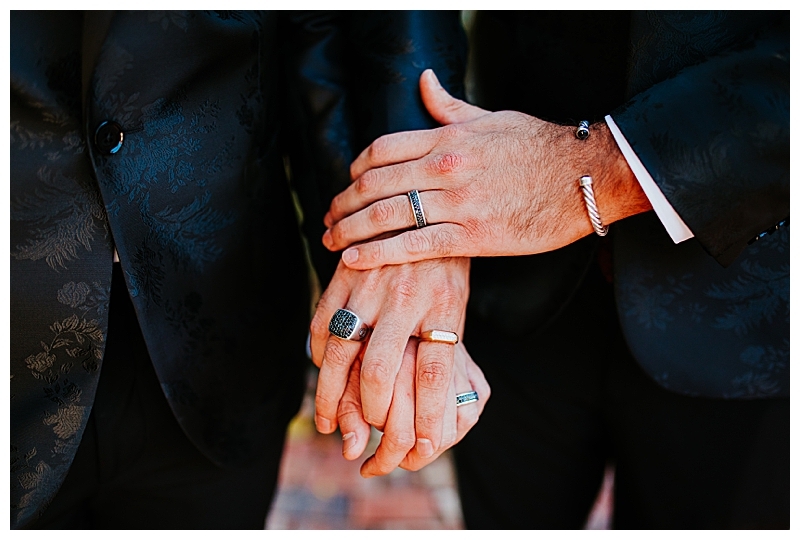 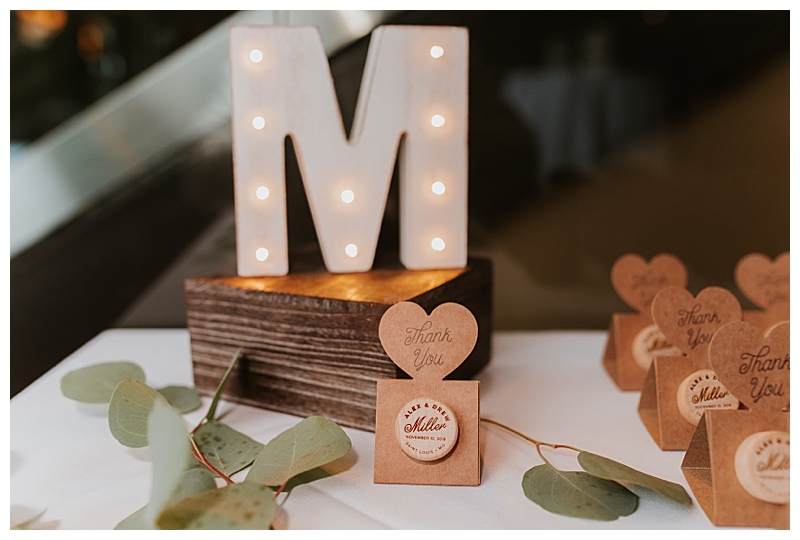 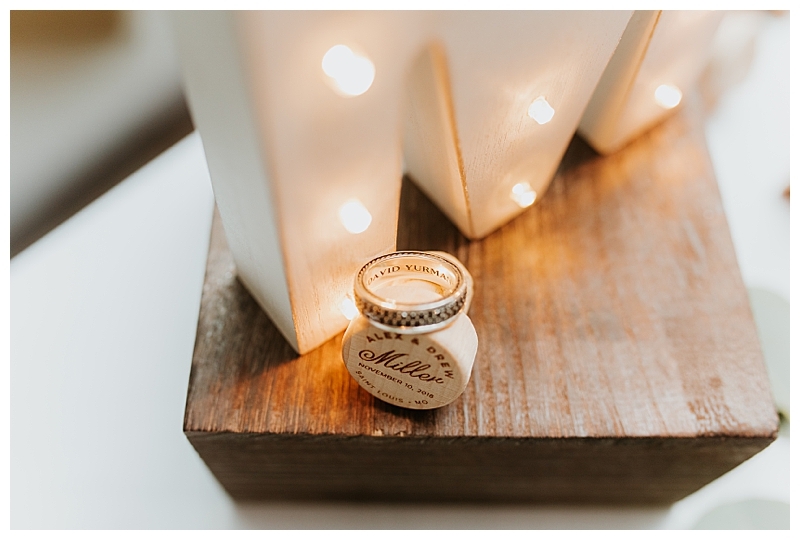 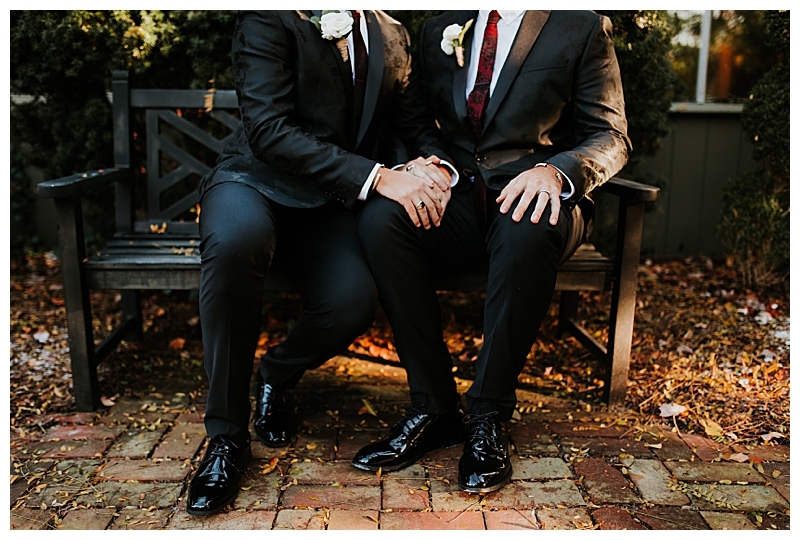 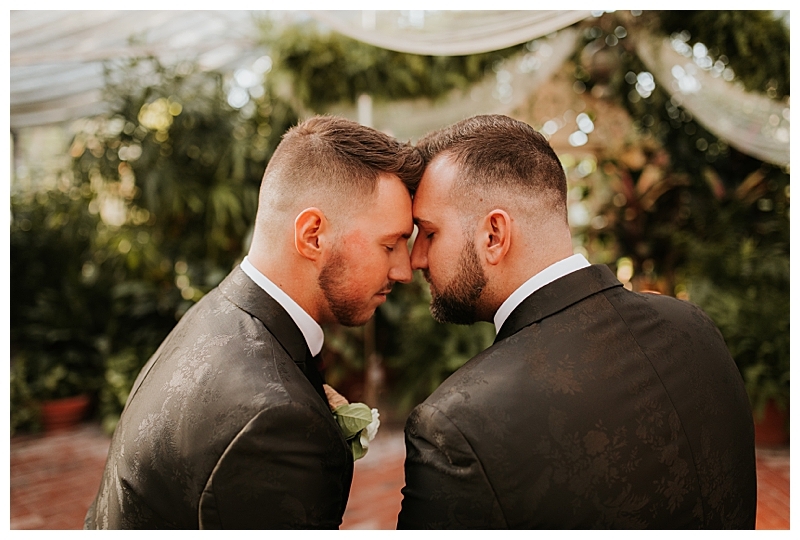 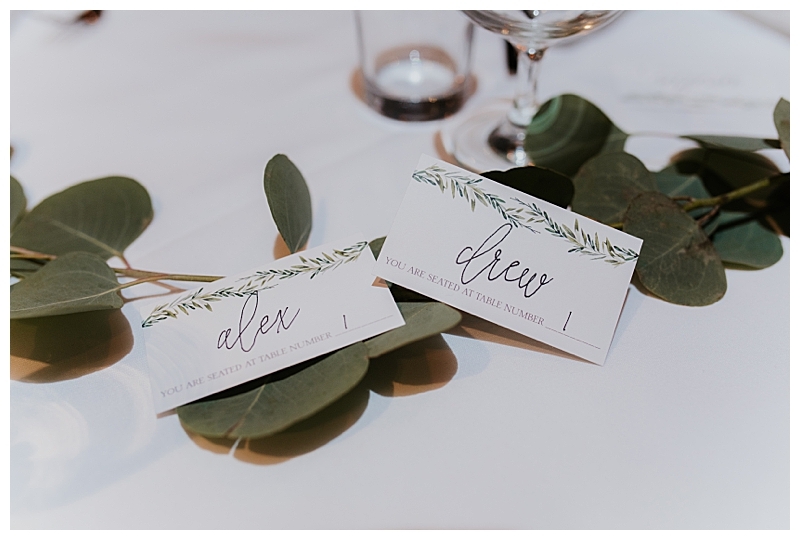 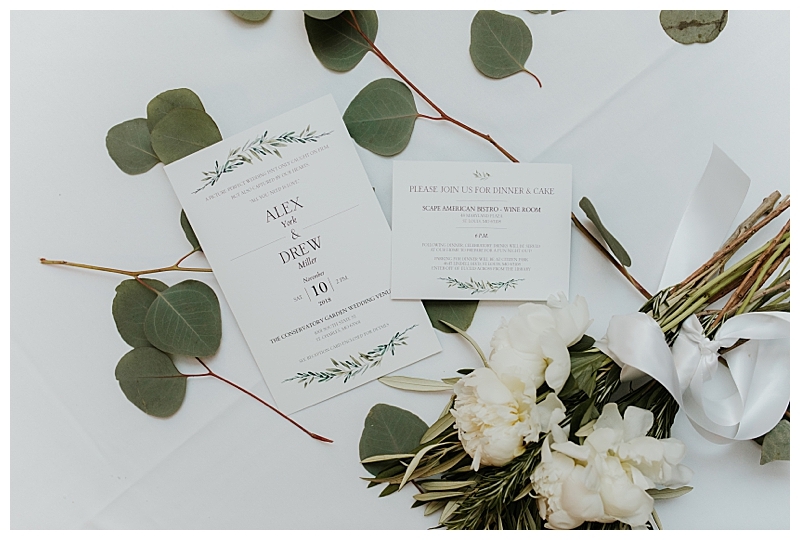 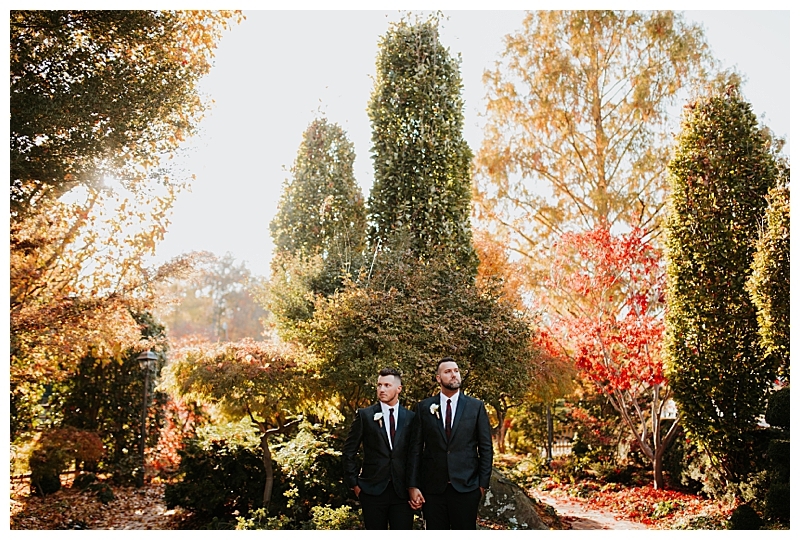 Alex and Drew were surrounded by 32 of their closest friends and family as they celebrated their love one beautiful fall day at the St. Louis Conservatory Gardens. 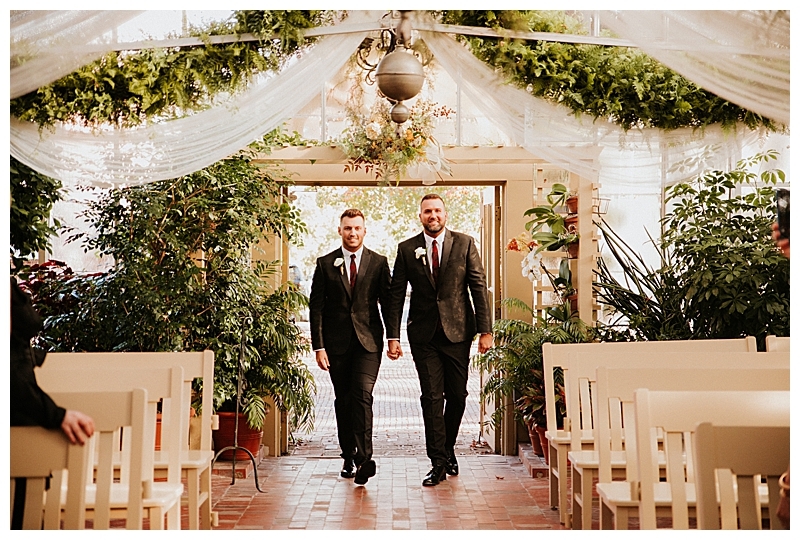 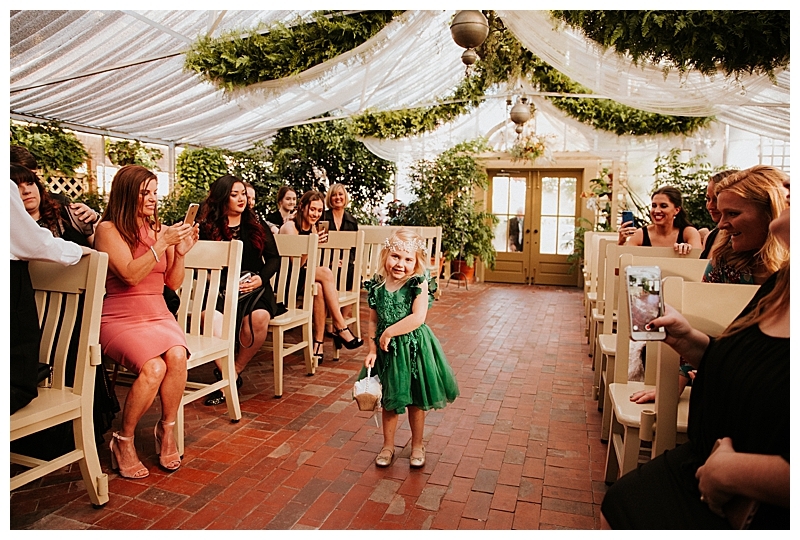 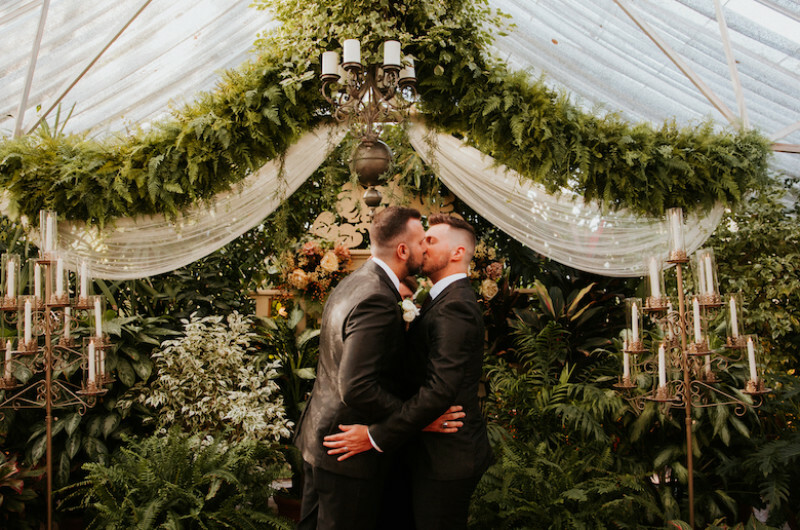 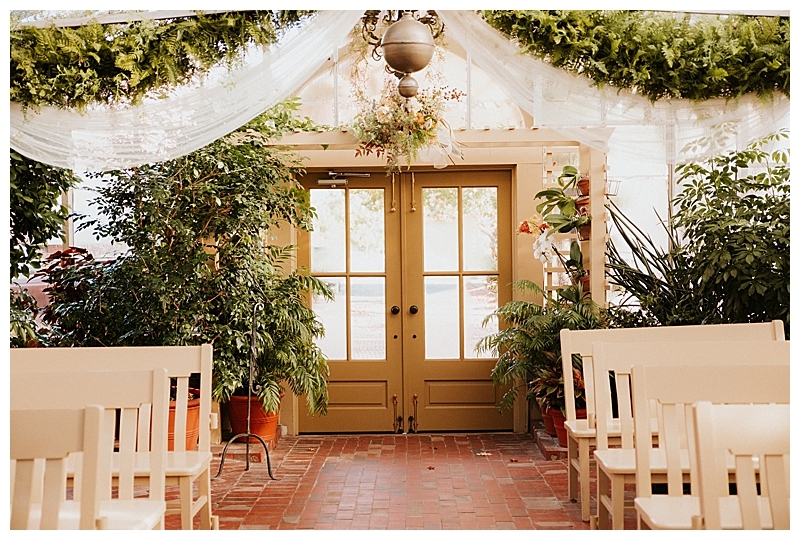 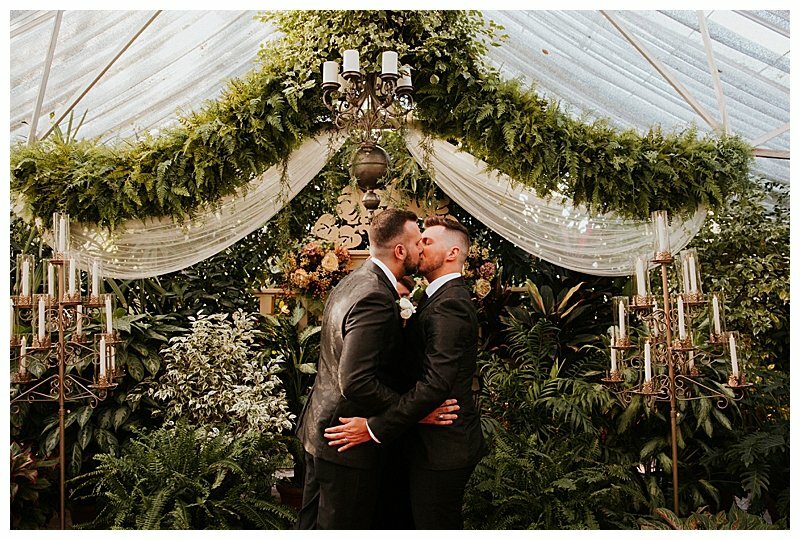 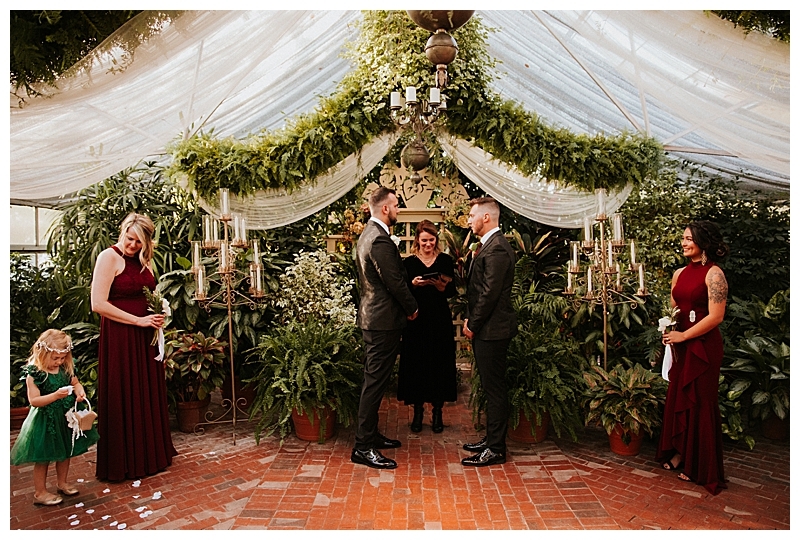 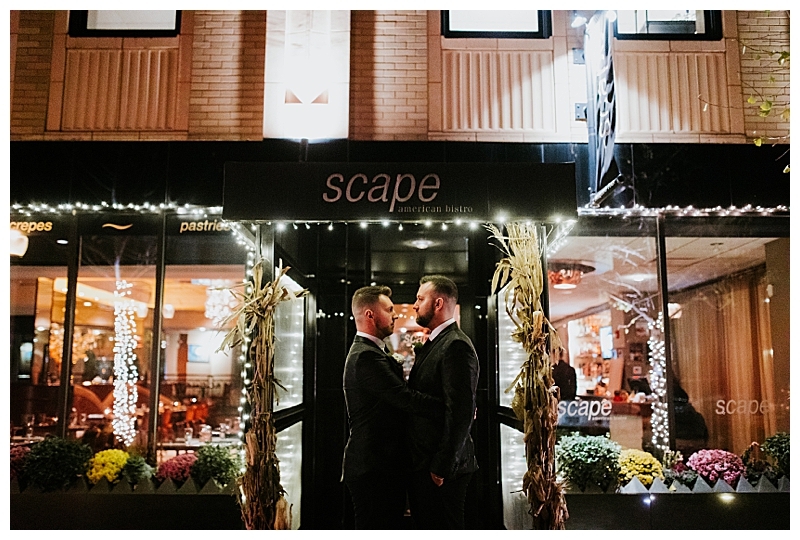 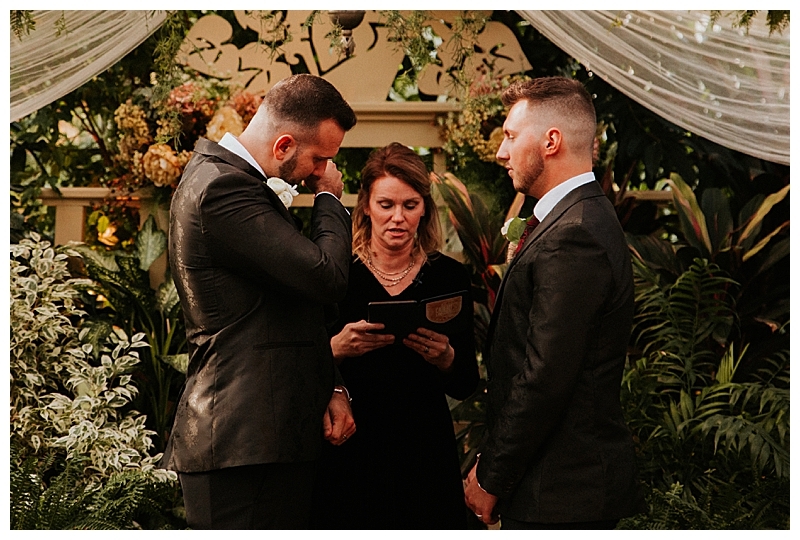 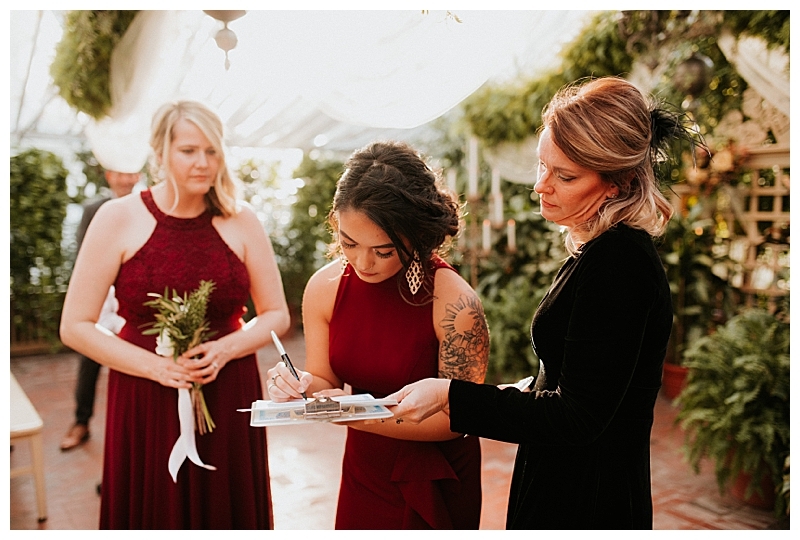 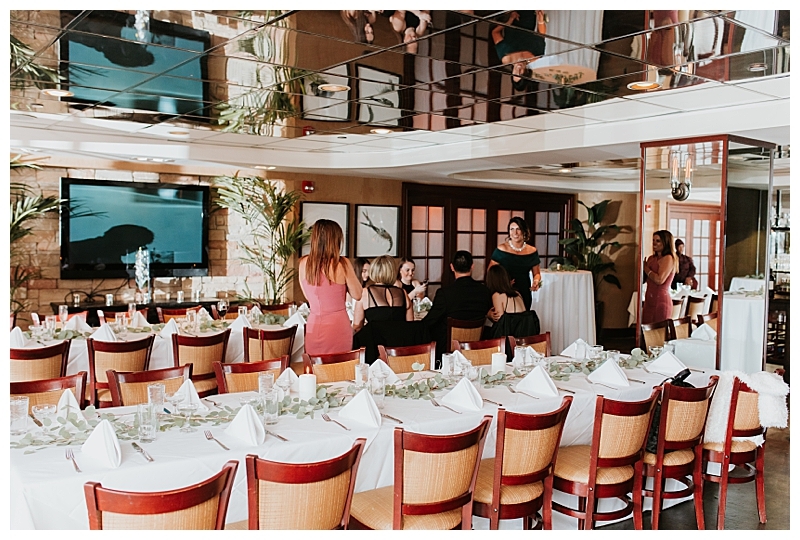 The vibrant fall foliage and the venue’s lush greenery made a picture-perfect setting for the greenhouse ceremony. 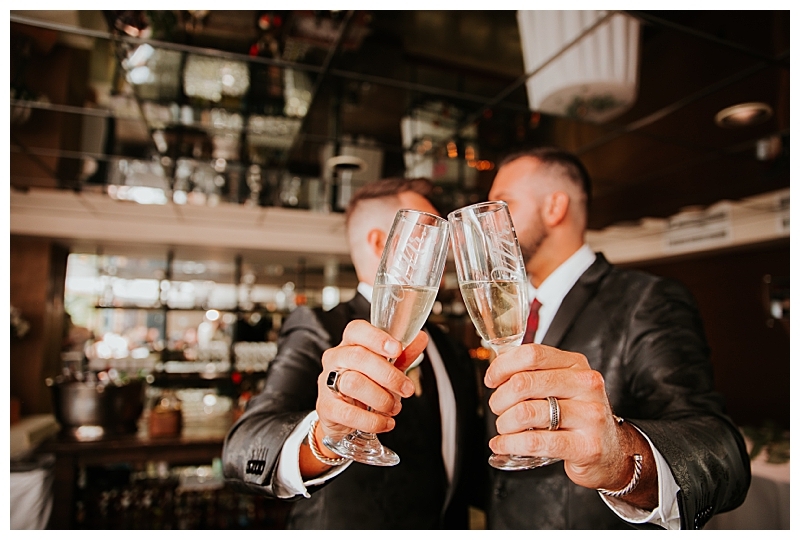 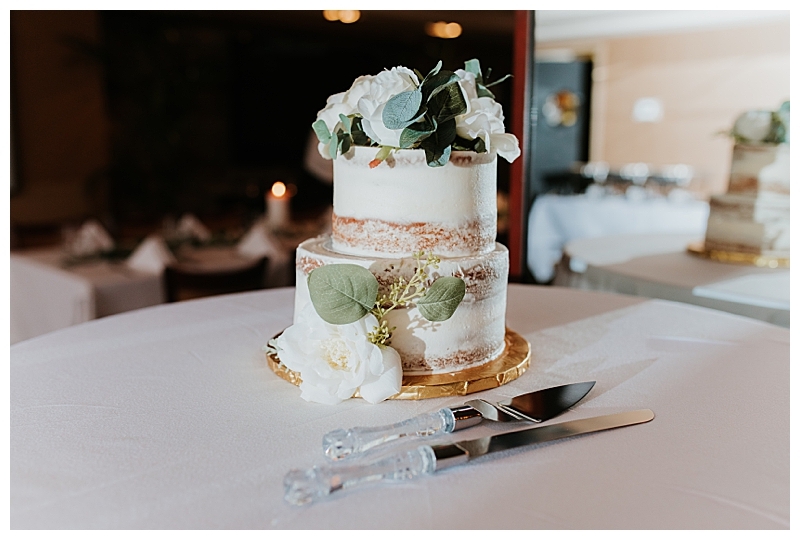 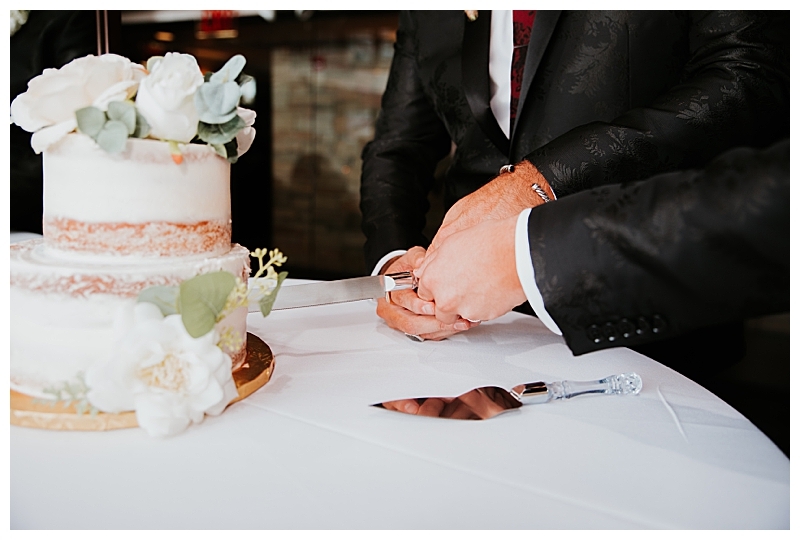 Afterwards, the grooms hosted a reception dinner for their guests, toasting with champagne and cake.